While supplies last we are offering The Napier Co.: Defining 20th Century American Costume Jewelry for $50.00 plus shipping! Don't miss this rock-bottom price of $50.00, plus shipping! 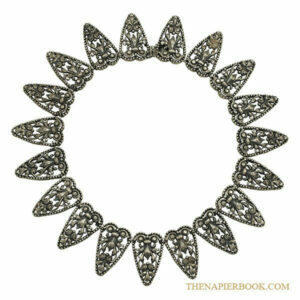 Purchase, The Napier Co.: Defining 20th Century American Costume Jewelry, by Melinda Lewis, TODAY! 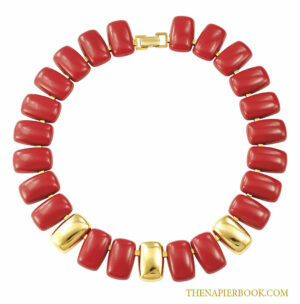 The Napier Jewelry book is a visual encyclopedia of Napier Costume Jewelry. It tells the heretofore untold and phenomenal story of The Napier Co.’s inception, development, flowering, and ultimate success. It chronicles the history of its management, manufacturing, marketing, and most importantly, the unparalleled beauty of Napier fashion jewelry. 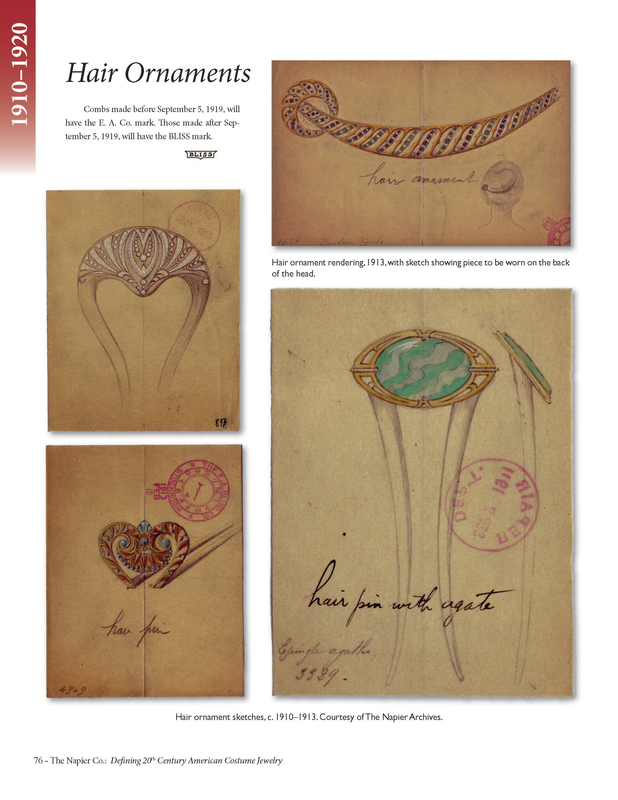 With approximately 4000 pictures of Napier jewelry history and over 250,000 words of text and descriptions, you will be taken step-by-step, decade by decade, through the development of the Napier style. As a collector, you will learn to recognize the findings, materials, and designs to appropriately circa-date the Napier jewelry in which you are investing. 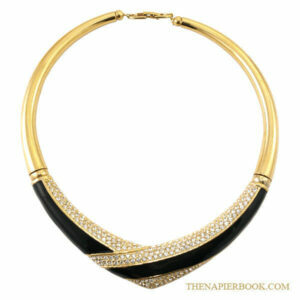 As a lover of vintage costume jewelry, you will enjoy the drama and excitement of the trials, tribulations, and breakthroughs at each stage of the Napier journey. In the end, you will have a deep and lasting appreciation of the romantic story infused into the metal, gemstones, crystals, cabochons, and elegance of each piece of Napier jewelry that you own or are considering owning. Be sure to click our shop link to select your favorite Napier jewelry from our carefully curated collection of fine vintage jewelry. The perfect one-stop-shopping for the vintage jewelry collector. With more than 100 pieces and more added weekly. While supplies last, Life by Design Publishing is offering this title at the amazing price of $50.00 plus shipping. This beautiful book is being offered for saving of $89.00 off of the listed price of $139.00. Like most collectors of vintage costume and fashion jewelry know, reference books that go out of print become off-the-chart expensive. This book is not only for the jewelry collector or dealer, but it is for students of fashion, jewelry design, and other historical research. Take advantage of this remarkable price and buy now!